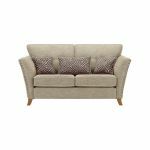 Inject some contemporary modern flair into your living room with the wonderfully elegant Grosvenor 2 seater fabric sofa in Beige with Grey Scatters fabric. The soft, plump-free dual foam seat cushions provide excellent shape-retention, ensuring this beautiful sofa will be your go-to spot when it’s time to unwind! 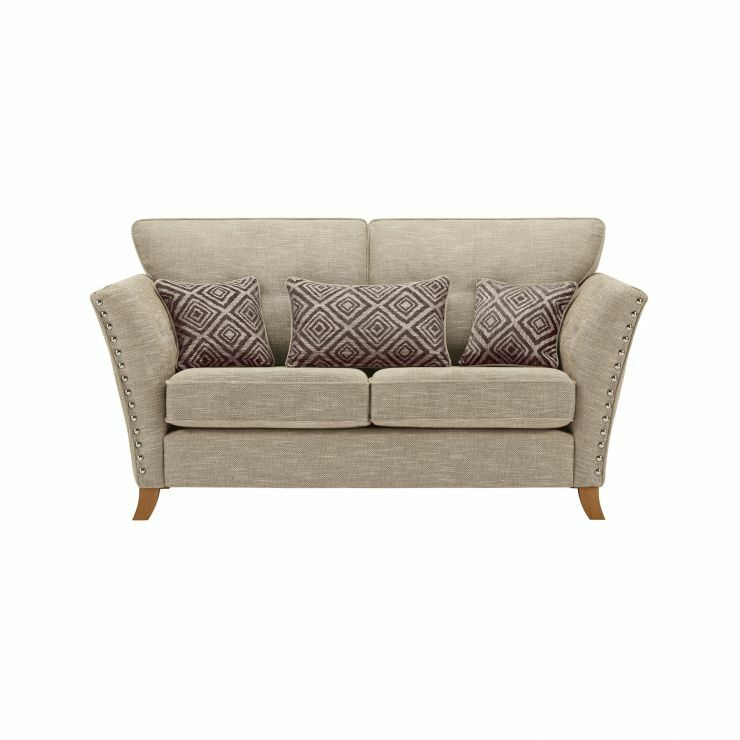 Gently flared arms offer plenty of seating space, and robust hardwood is built into the frame, ensuring the Grosvenor 2 seater sofa will maintain its quality and style over the long term. 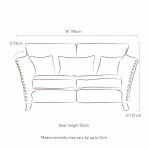 Complete with striking solid oak feet, this sofa looks fantastic on its own or alongside another piece from the extensive Grosvenor range.